Theatre can be a very insular world. It often feels as though raising an opinion gets you as far as screaming into an echo chamber. Walking into a new rehearsal room for the first time, you usually find you have three mutual acquaintances with at least one person there. So it’s little wonder the industry can begin to feel a little claustrophobic sometimes. The other day, I was discussing the concept of Ingres’ violin with my partner, who is also a stage manager. Urban Dictionary will tell you that this refers to “a person who is known for one talent, but is so exceptional at another – unrelated – talent they could be equally well known for the second if not for the first”. 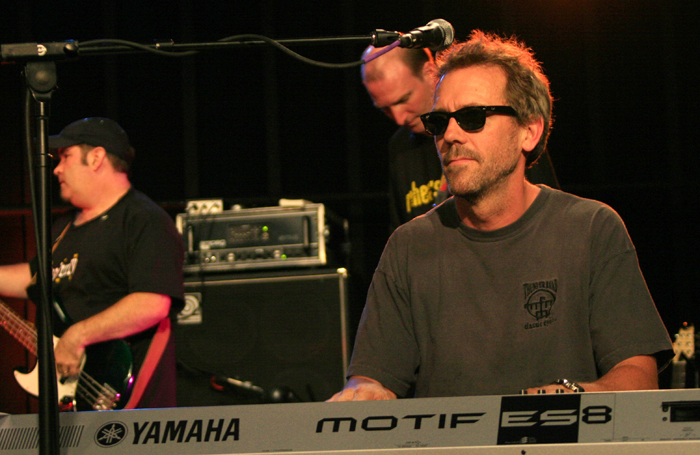 An example would be Hugh Laurie’s successful career as a sketch comedian and actor, while simultaneously being a skilled blues musician. It got me thinking how, because we have to give so much of ourselves to our work to succeed in this industry, we can end up not having anything left to pursue other avenues of interest. That tends not to allow the cultivation of a very well-rounded or satisfied person. For this reason, I try to encourage myself, and friends in the industry, to keep up the hobbies or activities they used to make time for but now, because of the demands of the job, can’t. It doesn’t need to be, as the definition of Ingres’ violin suggests, something from which you could also make a living. That would negate the purpose of doing it as a leisure activity. Unlike Laurie, whose talents are related, I find it better for my career – and my sanity – to take part in activities that aren’t necessarily connected to what I do for a living. I know a musical director who, once a week, plays a football match with friends, a video operator who reads voraciously and a lighting designer who is also a brilliant cook. Sports are an obvious choice for both actors and technicians, as our work and lives are already fairly active, so it can be a good way to stay in shape and look after your body. However, not every out-of-work actor or stage manager can afford a gym membership. I haven’t found the solution to this problem yet. I wish I had. I try to do yoga whenever I can – usually two or three times a week. But my schedule changes a lot, swinging between rehearsals, show calls, tech weeks and the rest of it. So, I can’t necessarily be beholden to a yoga teacher’s schedule of classes. Therefore, I bought myself a yoga mat and, using as many free online resources as I can, do yoga at my own pace in my living room. It may not be the perfect solution, but it’s a step in the right direction for me. My point is that where there’s a will, there’s a way. And the will to escape the echo chamber should be encouraged. Editor's View: Why does Sally Greene losing her Old Vic job title matter?